Thank you, Ellen for giving me the opportunity to guest blog. To answer your question as to how hookedonbookz.com started, let me first introduce myself. I am a book-obsessed person, as in, I love reading, wrapping (yes, wrapping), buying (my husband says I should see a doctor about this) and hoarding (and this too) them. But I have never thought of having a book blog (Duh, right?). It all started when I was working with a health magazine a few years back, which had a column for book reviews, and that was when I met Kavita, the marketing person for Pansing. Meeting new friends in life is great, but nothing beats meeting another bookaholic! After a few bookish chats, we formed a strong bookish bond and continued our bookish relationship even after I left the magazine. During one of our chats, she suggested that I set up a blog for books, and I thought it was a brilliant idea. After setting up hookedonbookz.com, Kavita continued feeding me with books, as I continued reviewing and blogging, and feeding myself with more books at sales and fairs. I was also given the opportunity to meet, interview and chat with authors from around the world, thanks to the people at Pansing for arranging them for me. But sometimes, I'd have to do it on my own and I've learnt that not all interview requests will be entertained. Nevertheless, that never stopped me from trying. I never knew how to market my blog, and only recently thought of posting up my reviews on Facebook and Twitter after getting a request from one of my readers. My reviews are usually short and simple (Slightly longer ones for the books I enjoyed reading J), but usually, I keep it at not more than 400 words. Besides reviewing books, I also post up news and stories on books; book sales and events; interesting or entertaining videos, and bookish stuff I come across in the papers or Internet. Go visit Jee Wan's blog and take a look: it's great! I visited her blog and it is very interesting. Book reviewing is a lot of fun usually, unless I get a book I dislike. This rarely happens, but I have read two self published books which needed help in the editting department. As an author, what do you suggest I say or do in a case like this? I don't really want to post a bad review. Pam, I'd just say it could do with an edit. Authors need feedback to improve. At least, that's what I think, and as I find it VERY hard to get real solid feedback I'd rally appreciate it. Then again, those self published authors who opt out of the regular publishing industry because they don't like the idea of others working with them maybe would not be open to that sort of thing. If that's the case, you could just not publish a review??? I enjoyed today's post. I've just jumped to the links and enjoyed soo much. So exciting and inspiring. 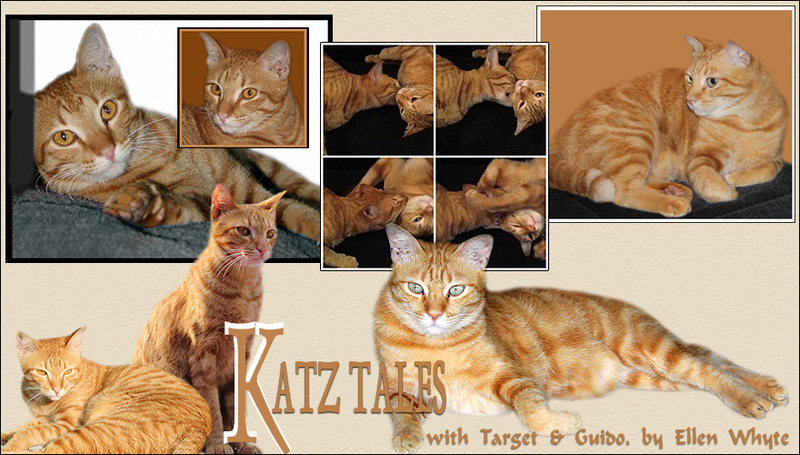 Excellent review of Katz Tales, and very nice review site! I think writing book reviews is quite difficult - Jee Wan does a great job. already following Jee on Twitter.